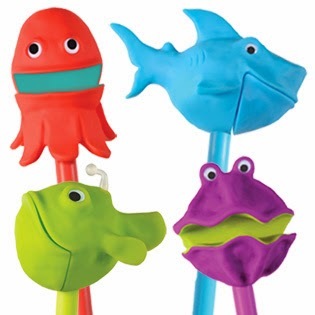 Another great review/giveaway today is coming from Educational Insights the product I was able to review is the The Sea Squid puppet on a stick. This helps kid's with their ability to communicate and will help them. The kid's love these puppets. 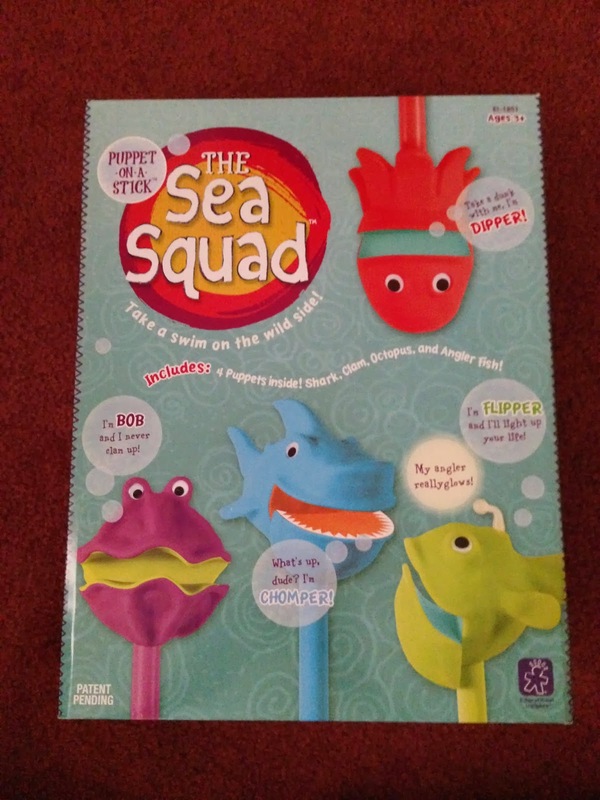 Meet The Sea Squad: Flipper the anglerfish, Dipper the octopus, Chomper the shark, and Bob the clam. Their googly eyes, vivid colors, and hilarious expressions will inspire all sorts of creative play in an instant. Children will flip over these silly creatures from the sea as they dive into worlds of dramatic play, while developing communication skills and practicing real and imaginary dialogue! Pretend play and puppet shows become a splash with these comical marine friends and story time is transformed into an adventure. Our kid-approved, patent-pending design marries an easy-glide child-sized thumb lever and a chunky, secondary knob, giving kids (and adults who need a good giggle) two ways to articulate each puppet’s mouth. Built to last through many childhoods, each puppet’s soft-touch molded body reinforce our hallmark Educational Insights quality standard. Would you like to win one for yourself??? Well you can.. Just enter the Rafflecopter below!!! Giveaway open to Usa and Canada!! We would get the nowhere to go strategy game. The Magic Moves Electronic Wand looks really good. 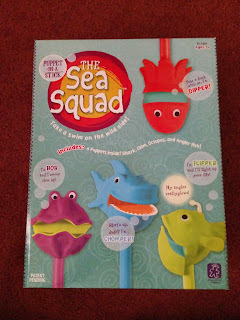 I like the bean bag toss, the talking microscope but I love the sea puppets and the other sets of puppets on sticks! What fun! I like the bean bag toss game for outside play. I really like the, You're Bugging Me color matching game! I think this game would be great for my daughter! We are working on colors right now! 25% off items already on sale. 25% of items already on sale. That's my reply above...hence the duplicate posting.